Irisland - Bearded Iris breeder Mrs Katarzyna Zalewska. IRISES CROSSING AND BREEDING WITH PASSION. IRISLAND. CREATE NEW BEAUTIFUL, HEALTHY AND RESILIENT FLOWERS! The hybridisation of irises is my true love and passion. I devote much of my time to create new beautiful, healthy and disease resistant flowers. I am mainly interested in tall irises and dwarf bearded irises. 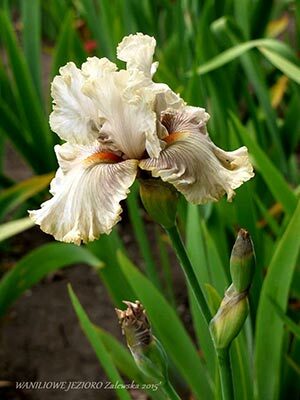 On this website you can see the bearded irises of many growers and also my own creations. THIS IS MY IRIS GARDEN. WELCOME TO IRISLAND. 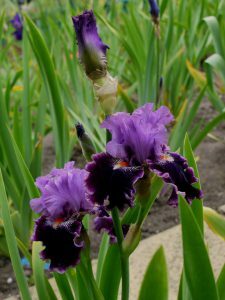 MY EXPERIENCES OF BREEDING AND CROSSING IRISES. I wish you a lot of pleasure visiting my website.